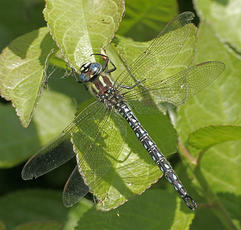 Similar in size to the Migrant Hawker, the male is black with blue spots and the female black with yellow spots. Both have a downy thorax which, in the male, has a pair of green stripes on the dorsal surface. Twin black lines on the side of the thorax are diagnostic (see illustration). Its early flight time makes it unlikely to be confused with any other hawker. 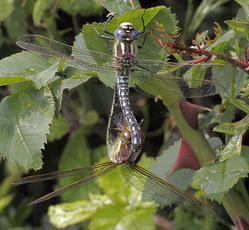 It likes clean, still waters with lots of emergent vegetation. 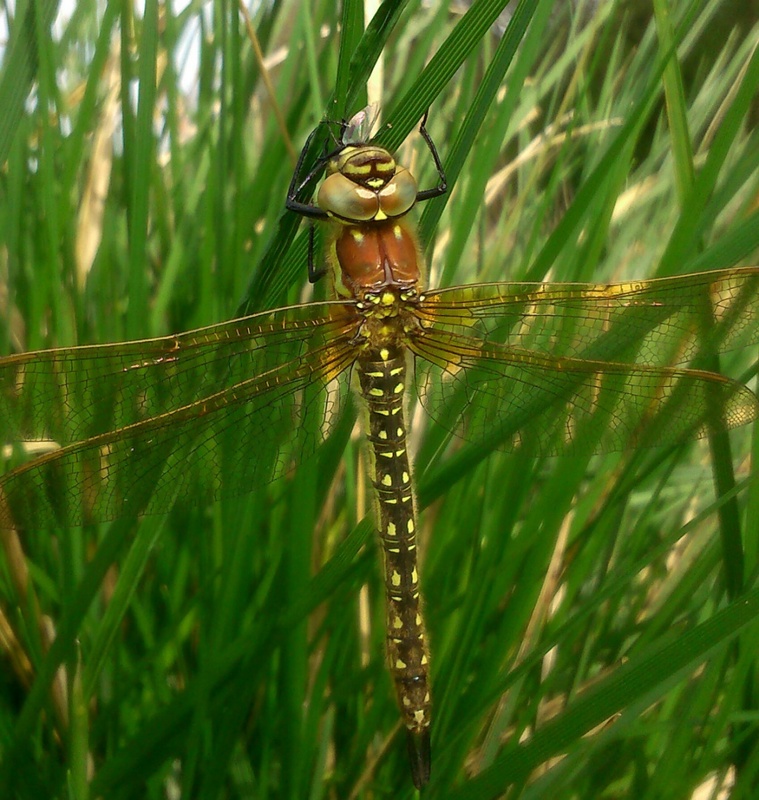 This is the first hawker dragonfly of the year to be on the wing. It is uncommon in most of Britain though seems to be expanding its range.. It first appeared in Leicestershire and Rutland in 1993. Its main stronghold is the Grantham Canal in north-east Leicestershire but it remains rare in our area. 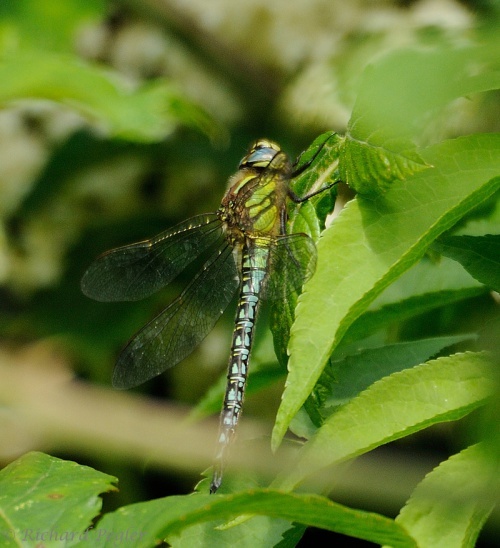 Having undergone a significant range expansion across southern Britain, the Hairy Dragonfly was first recorded in VC 55 in 1993. Since this date it has been recorded at just a handful of scattered localities, though due to its early flight period it may still be under recorded. The stronghold for this species remains the Grantham Canal, at which site breeding has now been recorded, together with two other locations. 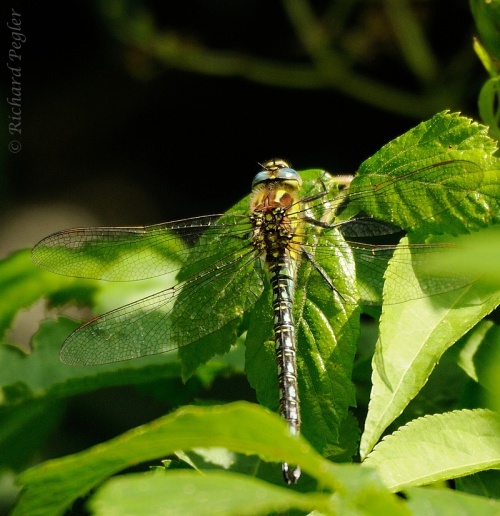 The Hairy Dragonfly prefers still water sites with large amounts of emergent vegetation.